The first album “Nan iChir Gelair Mordor” was released in March 2017 and received very good feedback from fans around the world. Shortly afterwards, the second album “The Light in my Darkness” was released, and because of high demand and a burst of creativity the year 2017 ultimately saw the release of three albums and one EP – “The Old Forest” which consists of one track of over 20 minutes. 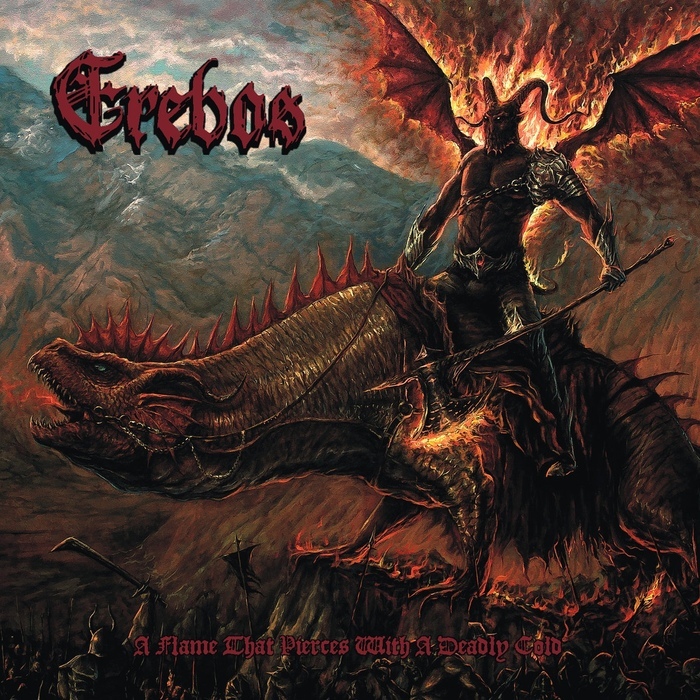 In April of 2018 Erebos released “Pesta Kommer” which was inspired by the book “Pan Lodowego Ogrodu” by Jarosław Grzędowicz. Thus far, all albums had been instrumental works. At the end of 2018 Dariusz began the collaboration with vocalist Lane Chaplin of Armorer which culminated in the new album “A Flame That Pierces With A Deadly Cold”. It comes in 6-panel digipack, limited to 500 copies.